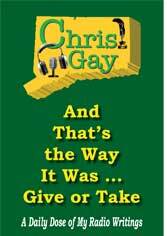 And That's the Way It Was...Give or Take: A Daily Dose of My Radio Writings' is a year's worth of the humor written and broadcast daily by writer/voice-over artist Chris Gay over the Hartford, Connecticut radio market. Using all eras, the author cleverly takes real history made on every single day of the year then seamlessly provides a witty, sometimes sarcastic take on each event. 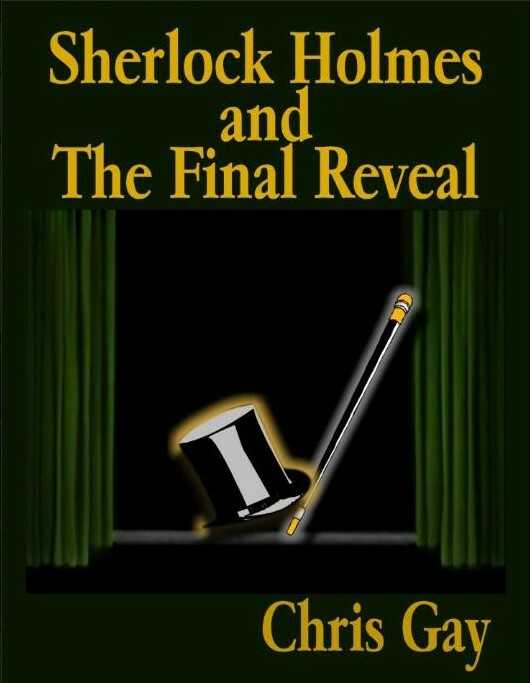 From routine happenings to historic events, politics, sports, music, movies, pop culture and beyond, this book spares no generation, and leaves no comedic stone unturned. Finally, at long last you can enjoy the sharp humor Connecticut gets to hear every day in book form, from the comfort of your own state. Shouldn't Ice Cold Beer Be Frozen? This book is a compilation of Connecticut writer Chris Gay's best witty, humorous, poignant and sarcastic Random Thoughts. He wrote it to accompany the separate historical humor showcased on the radio humor spots he broadcasts daily over the Hartford market. More of his writings and voice-over work can also be found on his website, www.thepassionofthechris.com. Shouldn't Ice Cold Beer Be Frozen? covers a broad spectrum of observations on such topics as life in general, pop culture, music, movies, politics, sports, television, pet peeves, and much more. Chris Gay is pleased to bring this second edition collection of his Random Thoughts to you subtly wrapped in its bright yellow and green cover. If laughter is indeed the best medicine, you may never be sick again. Enjoy! 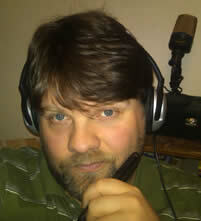 Chris Gay is an author, freelance writer, voice-over artist, broadcaster and actor. 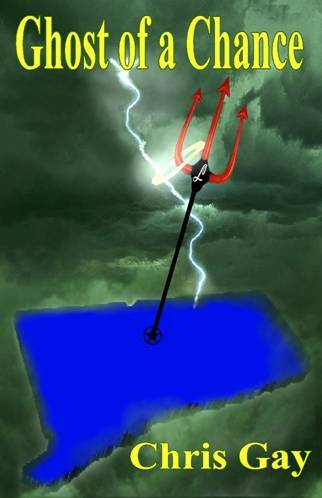 He writes and broadcasts a daily, sponsored minute radio humor spot in Hartford, Connecticut. 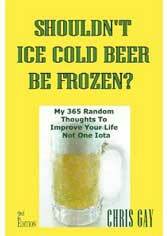 He’s written three humor books: Shouldn’t Ice Cold Beer Be Frozen? My 365 Random Thoughts to Improve Your Life Not One Iota, And That’s the Way It Was…Give or Take: A Daily Dose of My Radio Writings, and The Bachelor Cookbook: Recipes with a Side of Sarcasm for the Single Guy. 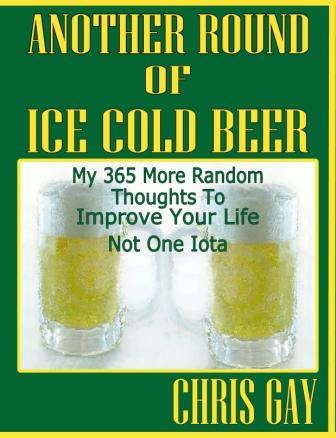 He’s currently writing his fourth humor book, Another Round of Ice Cold Beer: My 365 More Random Thoughts to Improve Your Life Not One Iota, along with the Ghost of a Chance sequel Perdition’s Wrath. He has written and voiced radio commercials, authored both comedic and non-comedic freelance articles, scripts, press releases, website, media and technical content, done occasional radio color commentary for local sports, and acted in a couple of movies and plays. He lives in Connecticut. What if a late 20th Century Jack the Ripper tearing apart a small Connecticut town was the result of a pancake shop bet between God and the devil? Imagine if Satan's impact on the world in the new millennium hinged entirely on one police officer's skill in hunting down a ruthless killer...hiding in plain sight. Detective Danny Seabrook is an unwitting pawn in a divine chess match with immeasurable consequences for all mankind. Set primarily in 1995, this action-packed suspense thriller features clever dialogue, humor and romance-with an ending you will never forget. Chris Gay’s novel Ghost of a Chance and humor books are all available in both Paperback and Kindle! website will be sent out as autographed copies.